هذا المقال هو عن البلدة في هيماچال پرادش. إذا كنت تريد الاستخدامات الأخرى، انظر ذرمسالا. ذرمسالا (Dharamsala وأيضاً ذرمشالا؛ تُنطق [d̪haramsala ] أو [d̪haramshalaː]) هي مدينة و municipal corporation في ضلع كانگرا في ولاية هيماچال پرادش بالهند. It is the district headquarters. وكانت تُعرف سابقاً بإسم باگسو. مقر الدالاي لاما ومركز ادارة التبت المركزية (حكومة التبت في المنفى) يوجدا في ذرمسالا. وتبعد ذرمسالا 18 كيلومتر من كانگرا. Dharamshala is a city in the upper reaches of the وادي كانگرا and is surrounded by dense coniferous forest consisting mainly of stately Deodar cedar trees. 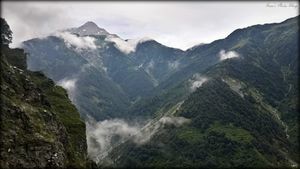 The suburbs include McLeodGanj, Bhagsunath, Dharamkot, Naddi, ForsythGanj, Kotwali Bazaar (the main market), Kaccheri Adda (government offices such as the court, police, post, etc. ), Dari, Ramnagar, Sidhpur, and Sidhbari (where the Karmapa is based). 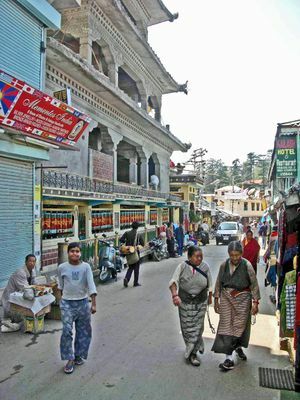 The village of McLeodGanj, lying in the upper reaches, is known worldwide for the presence of the Dalai Lama. 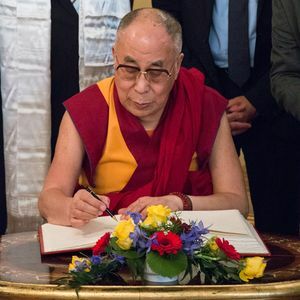 On 29 April 1959, the 14th Dalai Lama (تنزين گياتسو) established the Tibetan exile administration in the north Indian hill station of Mussoorie. 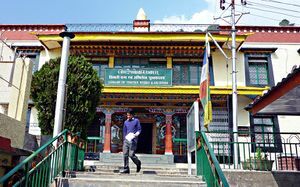 In May 1960, the Central Tibetan Administration (CTA) was moved to Dharamshala. Dharamshala (Devanagari: धर्मशाला; ITRANS: Dharmashala; IAST: Dharmaśālā) is a Hindi word (derived from Sanskrit) that is a compound of dharma (धर्म) and shālā (शाला). A loose translation into English would be 'spiritual dwelling' or, more loosely, 'sanctuary'. 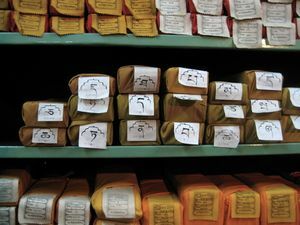 Rendering a precise literal translation into English is problematic due to the vast and conceptually rich semantic field of the word dharma and the cultural aspect of India. 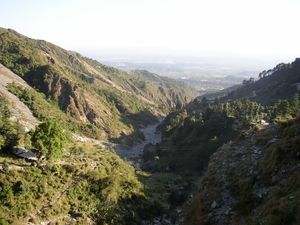 Until the British Raj, Dharamshala and its surrounding area was ruled by the Katoch Dynasty of Kangra, a royal family that ruled the region for two millennia. The royal family still keeps a residence in Dharamsala, known as 'Clouds End Villa'. Under the British Raj, the regions were part of undivided province of Punjab, and was ruled by the governors of Punjab from Lahore. The Katoch dynasty, although highly regarded culturally, had been reduced to status of jargidars (of Kangra-Lambagraon) under the Treaty of Jawalamukhi, signed in 1810 between Sansar Chand Katoch and Maharaja Ranjit Singh of Sikh Empire. 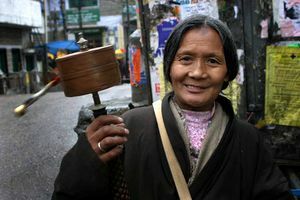 The indigenous people of the Dharamshala area (and the surrounding region) are the Gaddis, a predominantly Hindu group who traditionally lived a nomadic or semi-nomadic transhumant lifestyle. Due to the lack of permanent settlements in the area, some Gaddis lost their seasonal pastures and farmland when the British and the Gurkhas arrived to settle. In 1848, the area now known as Dharamshala was annexed by the British. Dharamshala has an average elevation of 1457 metres (4780 feet), covering an area of almost 8.51 km². Dharamshala has a monsoon-influenced humid subtropical climate (Cwa). Summer starts in early April, peaks in early June (when temperatures can reach 36 °C) and lasts till mid-June. 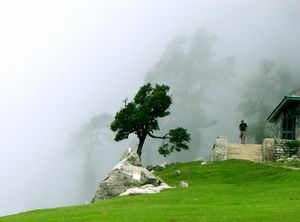 From July to mid-September is the monsoon season when up to 3000 mm (120 inches) of rainfall can be experienced, making Dharamshala one of the wettest places in the state. Autumn is mild and lasts from October to the end of November. James Bruce, 8th Earl of Elgin, died here. 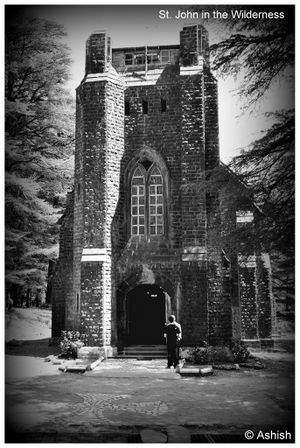 Alfred W. Hallett, artist who exhibited twice in Royal Academy of Arts London and lived 41 years at Dharamkot in upper Dharamshala died here in 1986. ^ أ ب "About Us". Dharamshala Municipal Corporation. Retrieved 2 April 2016. ^ FP Staff (28 August 2015). "Why only 98 cities instead of 100 announced: All questions answered about smart cities project". Firstpost. ^ "Imperial Gazetteer2 of India, Volume 11, page 301 -- Imperial Gazetteer of India -- Digital South Asia Library". dsal.uchicago.edu. ^ "Seminar on Katoch dynasty trail". Tribune India. 2009-11-04. new findings by researchers suggest "the Katoch dynasty dates back to 8,000 years and its 300 rulers ruled in the pre-Mahabharata period and the present scion of this clan, Aditya Dev Katoch, is the 488th member of the clan in the lineage" The researchers claimed "this dynasty is not only the oldest ruling clan of India but also the oldest dynasty of the world and its founder, Adipursha, had come from Mongolia about 11,000 years back". ^ "Census of India Website : Office of the Registrar General & Census Commissioner, India". censusindia.gov.in. ^ "Area of Dharamshala Town" (PDF). ^ "Dharamsala Climatological Table Period: 1951–1980". India Meteorological Department. Retrieved April 10, 2015. ^ "Ever recorded Maximum and minimum temperatures up to 2010" (PDF). India Meteorological Department. Retrieved April 10, 2015. Verma, V. 1996. Gaddis of Dhauladhar: A Transhumant Tribe of the Himalayas. Indus Publishing Co., New Delhi. Handa, O. C. 1987. Buddhist Monasteries in Himachal Pradesh. Indus Publishing Co., New Delhi. ISBN 81-85182-03-5. مشاع المعرفة فيه ميديا متعلقة بموضوع Dharamsala. Wikivoyage has a travel guide for Dharamsala.